THREE ELDERLY ITALIAN nuns were raped and murdered in twin attacks in their convent in the capital of Burundi, police said today, as a hunt was launched for their killers. Police initially reported that two nuns were stabbed to death on Sunday afternoon. The killer then beat one of the two with a rock, before fleeing the convent. But in the early hours of Monday morning, another nun in the same convent was killed, her body beaten and head hacked off. Colleagues named her as Bernadette Boggia, aged 79. “After the discovery of the two nuns who were brutally killed… the decapitated body of the third nun was found,” Deputy Director General of Police Godefroid Bizimana told AFP. The Holy Father begs the Lord to welcome into his kingdom of peace and light these three faithful and devout nuns. But Burundi’s police said the motive of the killing was not clear, pointing out that no money was taken. The body of Sister Bernadette was found lying in a pool of blood, her head decapitated, and her face bore signs of beating. The perpetrators had abused her, as they had violated the other two sisters earlier. Burundian Vice-President Prosper Bazombanza said the government was “appalled by such barbarity”, and promised police would do all they could to arrest the killers. No one can understand how a third sister was killed late at night… Burundi’s government promises to shed light on this matter as quickly as possible. Once again we are witnessing the sacrifice of people who, in total commitment, have spent their lives to relieve the suffering still on the African continent. The small nation in Africa’s Great Lakes region emerged in 2006 from 13 years of brutal civil war and its political climate remains fractious ahead of presidential polls due in June 2015. Email “Three Italian nuns found brutally murdered at Burundi convent”. 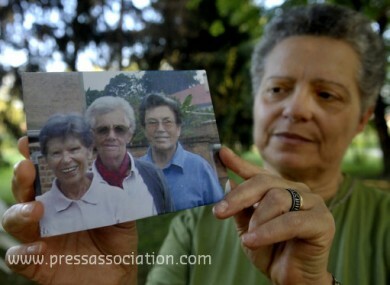 Feedback on “Three Italian nuns found brutally murdered at Burundi convent”.